There is a large amount of current research that supports the benefits of yoga practices for the long term wellbeing of the individuals who experience it. Click on the titles below to read a few studies that demonstrate these benefits. Effect of a six month yoga exercise intervention on fitness outcomes for breast cancer survivors. Yoga-based guided relaxation reduces sympathetic activity judged from baseline levels. Comparative Impacts of Tai Chi, Balance Training, and a Specially-Designed Yoga Program on Balance in Older Fallers. Regular Yoga Practice Improves Antioxidant Status, Immune Function, and Stress Hormone Releases in Young Healthy People: A Randomized, Double-Blind, Controlled Pilot Study. Physiother Theory Pract. 2015 Oct; 31(7): 451–460. Yoga-based exercise has proven to be beneficial for practitioners, including cancer survivors. This study reports on the improvements in physical fitness for 20 breast cancer survivors who participated in a six-month yoga-based (YE) exercise program. Results are compared to a comprehensive exercise (CE) program group and a comparison (C) exercise group who chose their own exercises. “Pre” and “post” fitness assessments included measures of anthropometrics, cardiorespiratory capacity, strength and flexibility. Descriptive statistics, effect size (d), dependent sample ‘t’ tests for all outcome measures were calculated for the YE group. Significant improvements included: decreased % body fat (−3.00%, d = −0.44, p < 0.001); increased sit to stand leg strength repetitions (2.05, d = 0.48, p = 0.003); forward reach (3.59 cm, d = 0.61, p = 0.01); and right arm sagittal range of motion (6.50°, d = 0.92, p= 0.05). To compare YE outcomes with the other two groups, a one-way analysis of variance (ANOVA) was used. YE participants significantly outperformed C participants on “forward reach” (3.59 cm gained versus −2.44 cm lost), (p = 0.009) and outperformed CE participants (3.59 cm gained versus 1.35 cm gained), but not statistically significant. Our results support yoga-based exercise modified for breast cancer survivors as safe and effective. Martarelli D1, Cocchioni M, Scuri S, Pompei P.
Evid Based Complement Alternat Med. 2011;2011:932430. doi: 10.1093/ecam/nep169. Epub 2011 Feb 10. Diaphragmatic breathing is relaxing and therapeutic, reduces stress, and is a fundamental procedure of Pranayama Yoga, Zen, transcendental meditation and other meditation practices. Analysis of oxidative stress levels in people who meditate indicated that meditation correlates with lower oxidative stress levels, lower cortisol levels and higher melatonin levels. It is known that cortisol inhibits enzymes responsible for the antioxidant activity of cells and that melatonin is a strong antioxidant; therefore, in this study, we investigated the effects of diaphragmatic breathing on exercise-induced oxidative stress and the putative role of cortisol and melatonin hormones in this stress pathway. We monitored 16 athletes during an exhaustive training session. After the exercise, athletes were divided in two equivalent groups of eight subjects. Subjects of the studied group spent 1 h relaxing performing diaphragmatic breathing and concentrating on their breath in a quiet place. The other eight subjects, representing the control group, spent the same time sitting in an equivalent quite place. Results demonstrate that relaxation induced by diaphragmatic breathing increases the antioxidant defense status in athletes after exhaustive exercise. These effects correlate with the concomitant decrease in cortisol and the increase in melatonin.The consequence is a lower level of oxidative stress, which suggests that an appropriate diaphragmatic breathing could protect athletes from long-term adverse effects of free radicals. 35 male volunteers whose ages ranged from 20 to 46 years were studied in two sessions of yoga-based guided relaxation and supine rest. Assessments of autonomic variables were made for 15 subjects, before, during, and after the practices, whereas oxygen consumption and breath volume were recorded for 25 subjects before and after both types of relaxation. A significant decrease in oxygen consumption and increase in breath volume were recorded after guided relaxation (paired t test). There were comparable reductions in heart rate and skin conductance during both types of relaxation. During guided relaxation the power of the low frequency component of the heart-rate variability spectrum reduced, whereas the power of the high frequency component increased, suggesting reduced sympathetic activity. Also, subjects with a baseline ratio of LF/HF > 0.5 showed a significant decrease in the ratio after guided relaxation, while subjects with a ratio < or = 0.5 at baseline showed no such change. The results suggest that sympathetic activity decreased after guided relaxation based on yoga, depending on the baseline levels. Ni, Meng & Mooney, Kiersten & Richards, Luca & Balachandran, Anoop & Sun, Mingwei & Harriell, Kysha & Potiaumpai, Melanie & Signorile, Joseph. (2014). Archives of physical medicine and rehabilitation. 95. . 10.1016/j.apmr.2014.04.022. Objective: To compare the effect of a custom-designed yoga program with 2 other balance training programs. Design: Randomized controlled trial. Setting: Research laboratory. Participants: A group of older adults (N=39; mean age, 74.15 +/- 6.99y) with a history of falling. Interventions: Three different exercise interventions (Tai Chi, standard balance training, yoga) were given for 12 weeks. Main Outcome Measures: Balance performance was examined during pre- and posttest using field tests, including the 8-foot up-and-go test, 1-leg stance, functional reach, and usual and maximal walking speed. The static and dynamic balances were also assessed by postural sway and dynamic posturography, respectively. Results: Training produced significant improvements in all field tests (P<.005), but group difference and time x group interaction were not detected. For postural sway, significant decreases in the area of the center of pressure with eyes open (P =.001) and eyes closed (P =.002) were detected after training. For eyes open, maximum medial-lateral velocity significantly decreased for the sample (P =.013). For eyes closed, medial-lateral displacement decreased for Tai Chi (P<01). For dynamic posturography, significant improvements in overall score (P=.001), time on the test (P=.006), and 2 linear measures in lateral (P=.001) and anterior-posterior (P<001) directions were seen for the sample. Conclusions: Yoga was as effective as Tai Chi and standard balance training for improving postural stability and may offer an alternative to more traditional programs. J Altern Complement Med. 2015 Sep;21(9):530-8. doi: 10.1089/acm.2014.0044. Epub 2015 Jul 16. The aim of the present study is to highlight the beneficial effects of yoga practice on bio-parameters, such as oxidative stress, antioxidant components, immune functions, and secretion of stress hormones, in healthy young people. This study was conducted on healthy volunteers recruited from among university students, who were divided into two groups: a control (no yoga intervention, n=13) group and a yoga (n=12) group. Yoga practice was with an instructor for 90 minutes once a week spread over 12 weeks, with recommendations to practice daily at home for 40 minutes with the help of a DVD. The yoga program consisted of yoga body poses (asanas), exercises involving awareness, voluntary regulation of breath (pranayama), and meditational practices. Whole blood samples were collected when the volunteers had fasted for 8 hours at 0 and 12 weeks. The oxidative stress/antioxidant components, immune-related cytokines, and stress hormones were evaluated in serum or plasma. Serum levels of nitric oxide, F2-isoprostane, and lipid peroxide were significantly decreased by yoga practice (p<0.05 or p=0.01), whereas serum total glutathione (GSH) contents, activities of GSH-peroxidase, and GSH-s-transferase were remarkably increased after yoga practice compared with the control group (p<0.05 or p=0.01). Yoga practice also significantly increased immune-related cytokines, such as interleukin-12, and interferon-γ, in serum (p<0.05 or p=0.01). Yoga practice significantly reduced the plasma levels of adrenalin (p<0.05) and increased plasma levels of serotonin compared with the control group (p<0.05). Nydia’s Yoga Therapy Studio has been successful in participating in Yoga Research. 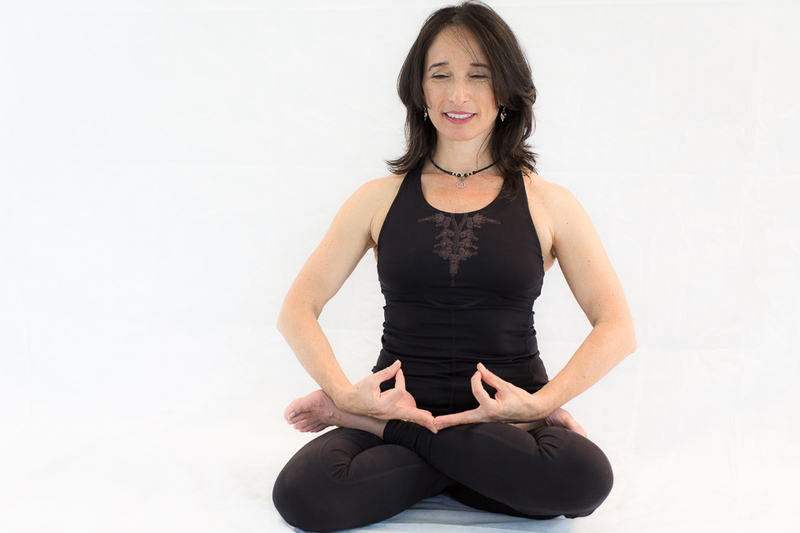 Nydia Tijerina Darby has developed protocols for the Yoga Asana practices utilized in the research programs. She has also mentored and trained the yoga teachers in the protocol and has supervised the programs on site at the studio. The NYT Yoga Research Team is the first of its kind and is recognized by the International Association of Yoga Therapists as a program that offers 200 hours of specialized continuing education for certified yoga instructors. Nydia’s Yoga Therapy Yoga Research Team presented two research posters at the Symposium on Yoga Research at the Kripalu Center for Yoga & Health in Massachussetts on September 24-26th 2014. SYR is the West’s foremost academic yoga research conference. SYR showcases some of the best new research and offers multiple poster sessions as well as ample opportunities to interact with other scientists, experts and professionals in the field. SYR 2014 will be held at the Kripalu Center for Yoga & Health in the beautiful Berkshires in western Massachusetts. SYR 2014 is a single-track academic research meeting that will include keynote speakers, invited oral presentations from other senior researchers, multiple poster sessions and ample opportunities to interact with other scientists, experts and professionals in the field. The conference is also a unique learning opportunity for yoga therapists, clinicians, integrative healthcare professionals and psychology and education professionals interested in yoga research. You can find information about this symposium at http://www.sytar.org/syr2014/syr_CallForPosterAbstracts.htm. IMPACT Yoga & Exercise Breast Cancer Study at Nydia’s Yoga Therapy Studio. Prostate Cancer Pilot Study at Nydia’s Yoga Therapy Studio.